Hello everyone, and welcome to the week! It’s time once again for our look back at the noteworthy updates of the last seven days. It’s a pretty full week this time around, with some very interesting updates in the lot. Of course, you can keep an eye out for updates yourself using AppShopper Social (Free), the watchlist in the TouchArcade App (Free), or by participating in the TouchArcade forums, but this weekly summary is here to fill in the things you might have missed. Let’s dig in! Wrestling Revolution 3D (Free) continues its frequent update schedule. There are 25 new fighters, and a bunch of new moves including an arm bar, a crossface, and mounted punches in the corners. It’s amazing how quickly this game is rounding out after a very threadbare initial release. Adventure Time Game Wizard ($4.99) is a pretty nifty game, but it had a few nasty bugs when it came out, particularly one that led to your character getting stuck in solid objects. 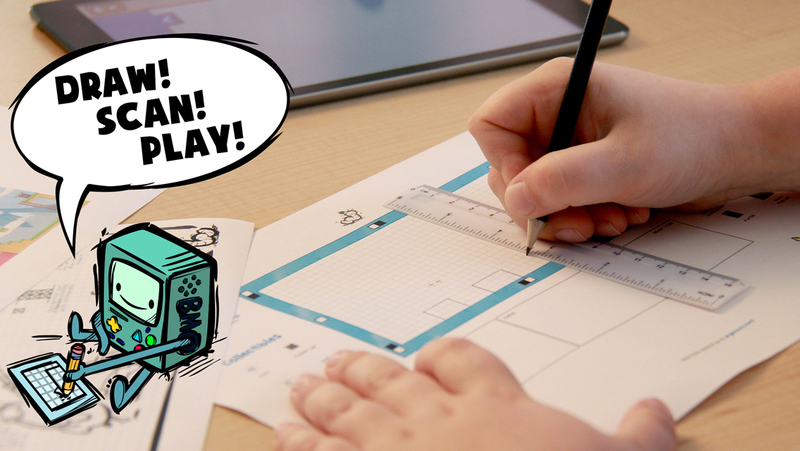 This speedy update aims to fix all of that, along with improving the scanning process for making your own levels. The game has also been optimized to improve performance on older hardware. Pinball Arcade ($0.99) has a great new update featuring SEGA’s Starship Troopers table based on the movie, and you absolutely should not download this update yet. Starship Troopers is an okay table, mind you, but there are some bugs in this latest version that cause the dynamic camera to get stuck on a number of tables. I’m sure it will be patched soon, but it’s still a bummer. Terra Battle (Free) actually got two updates last week, though the second one was mostly to fix a bug introduced by the first. Anyway, the game has been a big hit for Mistwalker, and with each download milestone reached, new stuff gets added. The big 2.0 update adds the co-op mode that was promised after 700,000 downloads. There are also new characters and events. The game is currently at 1.5 million downloads, which means we can soon look forward to versus mode, a new scenario by Yasumi Matsuno of Final Fantasy Tactics fame, and new characters designed by original Final Fantasy artist Yoshitaka Amano. 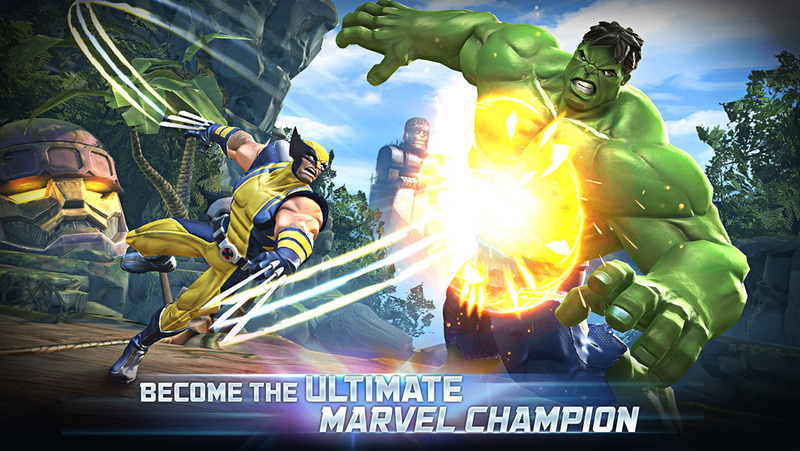 Marvel Contest Of Champions (Free) is another game that has scored a direct hit with players, and its latest update makes a number of improvements that hopefully help it live up to its popularity. You can now use doubles of two-star and up heroes to unlock a new ability for that hero instead of just breaking them into parts. The developers have also changed around class relationships and status effects to more accurately reflect the comic books. For example, Vision doesn’t have blood, so he can no longer be affected by bleed status. There’s a whole lot of other changes, all listed in the update notes, so check them out. Candy Crush Soda Saga (Free) was just here last week, but King obviously isn’t suffering from a New Year’s hangover, because there are 15 more new levels in case you finished the previous 240. You can also get help from friends without hooking into Facebook. Rounding out the update, Japanese support has been added, a point which is surely highly relevant to many of you. Subway Surfers (Free) continues on its world tour, with the next stop being Seoul. Its theme is high tech, with robots scattered around. There’s also a new surfer representing Korea by the name of Mina. I can’t wait for the next exotic location. Maybe it will be Winnipeg? That might be too weird even for Subway Surfers. Doodle Jump DC Super Heroes (Free) keeps on adding the Batman villains. Just before Christmas, we got Scarecrow, and this week’s update brings us Catwoman. I wonder when this game will expand beyond the Dark Knight’s section of the DC universe? It would be fun if Doodle Superman just jumped once and it propelled him to the maximum height. Goat Simulator ($2.99) is arguably the finest simulation of being a goat currently available on iOS. 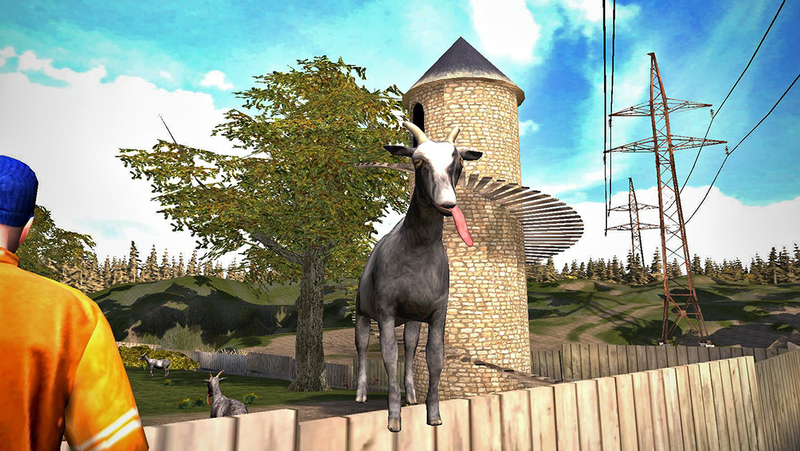 Now you can check out a whole new area, Goat City Bay. It promises hyper realistic water physics and the chance to lick a helicopter, an activity you should definitely only do in a simulator. Trust me, friends. Star Horizon ($3.99) was already a gorgeous game, but it’s even better now if you’re rocking newer hardware. Dynamic lighting, better shaders, and bloom effects are great and all, but is there a reason to go back to the game other than gawking at the pretty pictures? Yes! There are now Level 4 Elite upgrades to earn to make your ship even more powerful. When you take into account the new difficulty level added several months back, some of the criticisms of my review have been well-addressed. Crusaders Quest (Free) seems to be picking up in popularity fast, with more than 3 million downloads to its name. It’s barely been around for a month and it’s already had a few updates, too. The newest version adds some heroes, optimizes performance all-around, and squashes a few crash bugs. 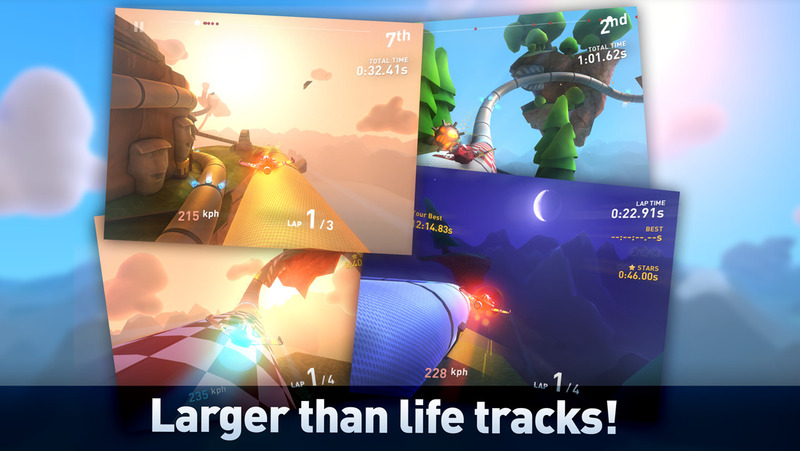 Tail Drift (Free) is probably the most controversial update of the week. Like many paid games, it seems it didn’t make ends meet, so it’s now switched to a free-to-play model. The main difference from a gameplay point of view is that planes now require fuel, which act as a sort of stamina meter. Since each plane has their own fuel meter, it’s actually not as bad as it could be, I think. If you already own the game, you get a whole mess of coins to help make up for it. All Star Quarterback (Free) gets a huge new update. The biggest addition is that of real-time 3D plays in-game. There’s also a new stadium and two new games in the casino. There’s also a time-out mini-game you can use to boost your performance during games. I’m still not entirely sure what casinos have to do with being a quarterback, but hey, casino, dojo, it’s all in the mind. 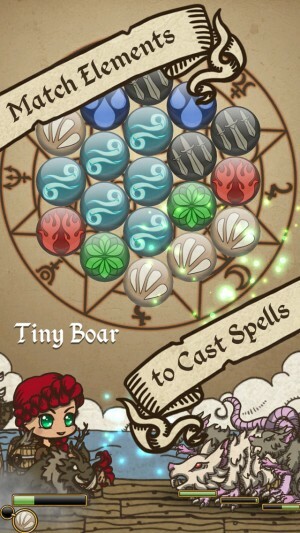 99 Bricks Wizard Academy (Free) is another premium game gone free-to-play. Actually, I guess in this game’s case, it’s returning to free-to-play, but anyway, there are ads now. You can buy them away if you want, and if you already owned the game, you shouldn’t be seeing any ads at all. It’s quite a fun game, and it’s too bad it hasn’t had more success. Super Glyph Quest ($3.99) is landing all the biggest guest stars these days. It’s like the Friends of the mobile market! Regular readers already know who’s made the scene this time, but suffice it to say that landing these characters is a monumental achievement. Totem-ly awesome. Sorry, these puns have dragged this article from its peak to its valley. Send help, I can’t stop! Candy Crush Saga (Free) also can’t stop. In case you’re wondering why your Candy Crush-addicted friend hasn’t stopped playing yet, it’s because there are 815 levels in the darned thing. At this rate, we’ll easily be over the thousand mark by summer. Crazy stuff. Diamond Digger Saga (Free) wants senpai to notice it, and so it brings not one, but two batches of new levels this week. Well, technically, just one for now, but it has 20 levels in it that should keep you occupied until the next batch of 20 are activated in a week or so. Now that the worst of its bugs are sorted out and the stamina meter’s been toned down a bit, I expect we’ll be seeing plenty of levels in short order. Angry Birds Space (Free) hasn’t had a big update in several months, so it was definitely due. There are 30 new levels to play in an all-new episode called “Brass Hogs". Wingman makes the scene, and there are now daily missions and unlockable mirror versions of the levels. Not bad for a game coming up on its third birthday. Nihilumbra ($2.99) is another game that’s almost three years old, and hasn’t seen an update since Justin Bieber had an innocent, clean image. This update makes up for that and then some, adding iOS 8 support, new options for screen dimensions, an English narrator, a new control method that uses the accelerometer, and a remastered soundtrack. Nice! 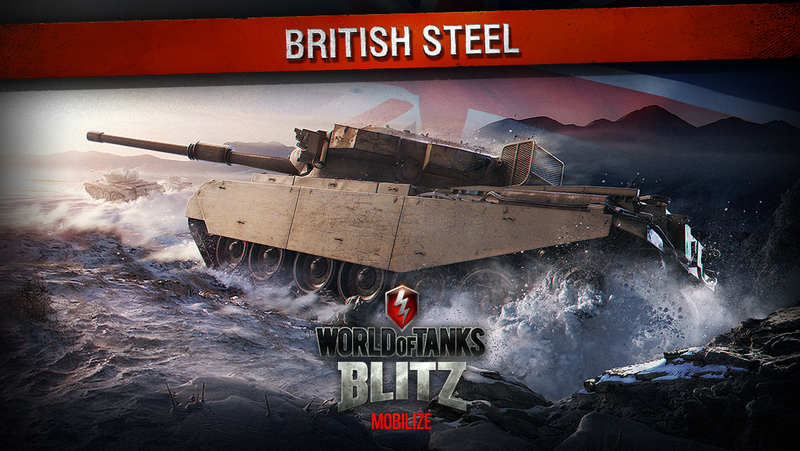 World of Tanks Blitz (Free) adds some new British heavy tanks including the legendary Matilda BP. There’s also a new battle arena, which should give a little bit of variety for players who are burnt out on the relatively small current selection. Tiny Realms (Free) adds new starter packs, bonuses for completing battles in a short amount of time, and the ability to leave personalized taunts for your enemies so you can really be a giant jerk. I mean, if you want. You don’t have to be a giant jerk, but leaving taunts about how you like their base design or how absolutely scrumptious the biscuits they baked are kind of misses the spirit of the game, you know? Farm Heroes Saga (Free) gets the usual King update, with 15 new levels and a total of 775 to work your way through. There are also new golden animals to collect, this time including an oriole, an eagle, and a retriever. Hmm, one of those things really doesn’t fit, but I guess I can relax my stringent pattern requirements this time around. Summoners War (Free), which is not to be confused with Playdek’s Summoner Wars (Free), gets a small but significant update this week. The monster storage has been expanded, so you can now keep up to 200 monsters at a time. There’s also a new Asia server to help support the game’s massive popularity in the region. 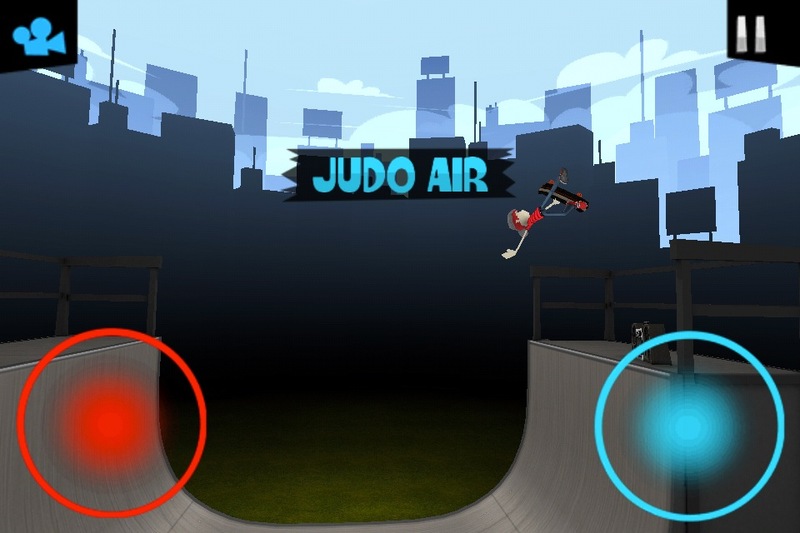 Pocket Halfpipe ($1.99) wins the prize this week for the oldest game to get an unexpected update out of the blue. Untouched since October of 2011, the game now supports larger screen sizes, has better performance, and adds a new control scheme. I think this one was well-liked back in the day, but I honestly don’t remember. Pretty wild to see it getting brought up to speed a bit. Star Nomad Elite ($1.99) got a giant list of changes to help balance out its uneven gameplay. There are a lot of little tweaks, new audio tracks, and the ability to skip story text easily. I’m hoping this appearance in my weekly update articles is the start of a beautiful relationship, because I think there’s a great game in here that should fully bloom if the app gets enough tender loving care. Pixel Defenders Puzzle ($0.99) gets an expansion in its latest update that you can buy for a mere $1.99. It adds a bunch of new levels, defenders, and a new gameplay mode, all welcome additions for hungry fans of the original game. Kingdom Rush (Free) seems to get new content every six months or so, but this one is a pretty big one even by the usual standards. Four new stages, eight new enemies, and a new boss fight should keep you busy even if you haven’t already bitten on one of the sequels to this great game.